One of the Royal Guards who watch over Radiant Garden. He is also one of Ansem the Wise's apprentices, a man with a silver tongue and natural talent for manipulating the heart of others. He was first shown guarding the palace at Radiant Garden with Aeleus. The two met Ventus who tried to enter the palace, but they he tells the boy to leave before the monsters show up. Aeleus noticed an Unversed and as the two guards prepared to battle it, Ventus ran past them. Before they were able to run after him, Even appeared and asked who will defend the castle if they left their posts. Even told them that Ventus can handle things becase he is "special case". Aeleus retorted, but Dilan reminded him that their lord and palace came first, so the boy would have to fend for himself. Even also informed them that their lord was asking for them. After Aqua had defeated Master Xehanort, Dilan and Ansem the Wise were led by Braig to where a young man was lying unconscious in one of the gardens. Ansem ordered Braig to carry the young man, who said his name was Xehanort, to the castle. Braig asked Dilan to bring Aqua's armor and her Keyblade with them. Dilan was later seen throwing out Lea and Isa while on guard duty with Aeleus. 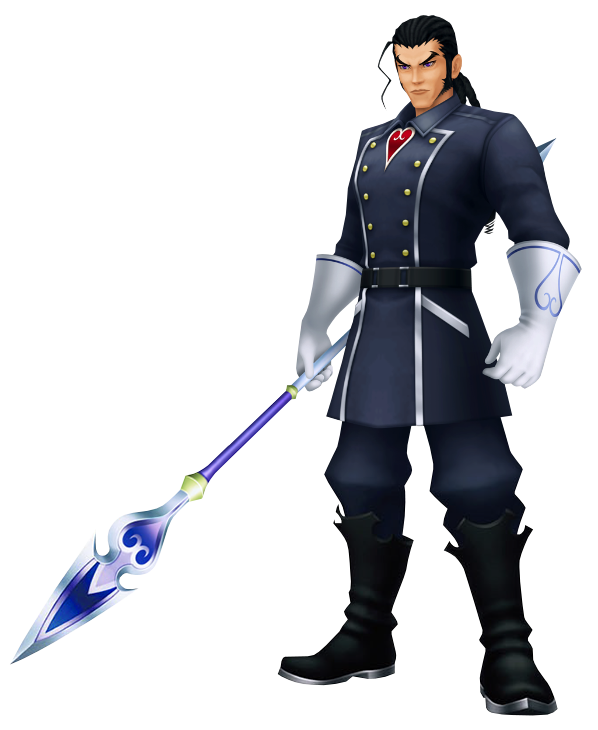 Wielding his lone spear proudly, Dilan guards the gates of the castle in Radiant Garden with Aeleus under orders of Ansem the Wise when not partaking in the studies and experiments. With his rough exterior and stern attitude, he is no doubt a formidable opponent, and one that you definitely don't want to go up against. He had abandoned his heart many years ago with the other apprentices, but has since been recompleted and returned to his home. Dilan's condition is currently unstable.